Offering some of the most diverse and stunning scenery in the country! 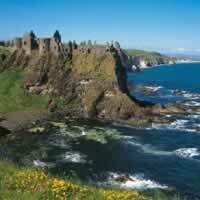 Known as the Sunny South East for its pleasant climate, if offers some of the most famous castles in Ireland. Delightfully atmospheric towns and villages, long stretches of stunning coastline, soaring sea cliffs, and countryside rich in cultural heritage. 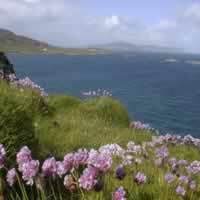 Land of blue mountains, forest parks, mazy lakes and windswept moors, white Atlantic sands, an inland sea. An unforgettable way to experience Ireland. This totally customizable vacation package allows you take your adventure into your own hands. 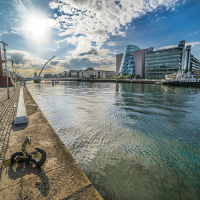 Begin in Dublin (lovely scenic countryside, bustling pubs and trendy coffee shops among historic castles) for your desired number of nights, then pick up your car for your drive to Killarney (Muckross House and Gardens, Ring of Kerry). From there, continue to Ennis (an important center of traditional Irish music) and return to Dublin for your last night. This is a flexible package. Select your number of nights in each city, desired hotel and desired rent a car. 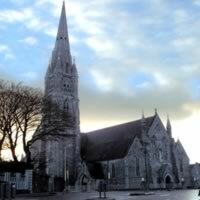 Visit Dublin, Killarney, and Kilkenny with a rent a car. Spend your desired stay in Dublin, then pick up your car for your drive to Killarney (Muckross House and Gardens, Ring of Kerry). 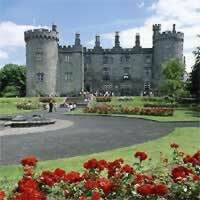 Continue to Historic Kilkenny with its large number of castles and abbey`s. 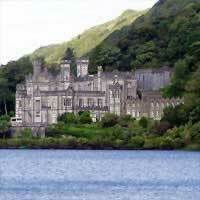 (Kilkenny Castle, Jerpoint Abbey) and return to Dublin for your last night. Experience Ireland with a rental car, allowing you to take control of your vacation for an unforgettable experience! After picking up your car in Shannon, drive to the charming medieval city of Limerick, visit Killarney (Ring of Kerry, Muckross House and Gardens), on towards Kinsale (a picturesque fishing village, known as the Gourmet Capital of Ireland), then to Kilkenney (to see the castle and abbeys) and finally finish in Dublin (charming pubs, trendy coffee shops and scenic countryside). This is a flexible package. Select your number of nights in each city, desired hotel and desired rent a car. The experience was practically perfect. Everything was delivered as advertised.